Venus Legacy is also used for the treatment of cellulite and body and facial contouring. Further information is on the Venus Legacy treatment page. The most customizable Radio Frequency device currently on the market, the Venus Viva, can be used to treat several concerns at once, including dramatically reducing acne scars, enlarged pores, fine lines, wrinkles, stretch marks and other textural irregularities, while tightening skin and providing superior rejuvenation for the face, neck and decolletage. * For further information, visit the Venus Viva treatment page. IFINI Radio Frequency Microneelding – THE LUTRONIC INFINI 3D VOLUMIZATION MICRONEEDLING RF TECHNNOLOY IS THE IDEAL SOLUTION FOR COLLAGEN STIMULATION AND PROVIDES UNPARALLELED RESULTS IN TREATMENT OF Skin Laxity. 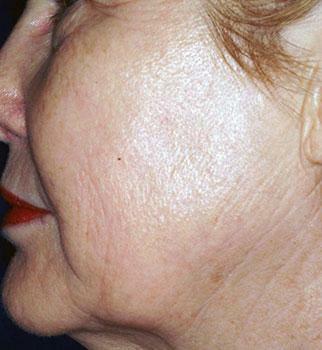 INFINI’s proven & impressive design delivers enhanced wrinkle reduction through 3 – dimensional energy delivery that maximizes skin volumization and contraction for wrinkle reduction and skin tightening. RF energy delivered via insulated gold-coated microneedles creates precise and controllable fractionated coagulation zones within a specific layer of dermis. Adjustable depth control allows for customized and reproducible treatments of delicate areas and areas with deeper and more significant wrinkling. This unique technology rejuvenates the skin by reaching different depths to apply a multilayered approach. For further information visit the INFINI Radio Frequency treament page. 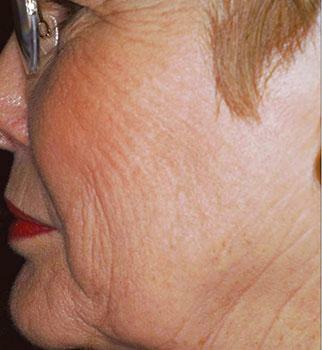 To discuss which skin tightening treatment is best suited for your unique skin concerns Contact GLO Antiaging Treatment Bar in Calgary or call 403-455-0444 to schedule a complimentary consultation today.